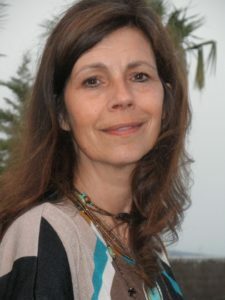 Sotogrande Exclusive is owned and run by Monique Westdorp. Monique was born in Holland and speaks five languages: Dutch, German, Spanish, English and French. For many years, Monique and her family holidayed in Sotogrande and fell in love with the area. Finally, in 2005 they decided to move here permanently. After working in the local property market, Monique decided to set up Sotogrande Exclusive in 2010. Since then she has built up a significant network of contacts and is very well known in the local community. Monique is also ambassador for NH-Sotogrande S.A. NH Hotels own Sotogrande Resort and it is a part of NH World. Monique is committed 100% to the business and her clients and offers a personal service that is genuinely customer-focused. Monique prides herself on her commitment to offering totally impartial and professional advice on buying, selling and renting property in Sotogrande. To this end she has satisfied the needs of many clients and won a reputation for being a leading estate agent in the local property market. Monique’s local knowledge and network of contacts–as well as being a mother of two—puts her in a position to help you settle into the Sotogrande community. She is always happy to share her reputable contacts such as lawyers, contractors, architects, builders, interior designers, craftsmen, banks, schools, electricity and gas suppliers, telecommunication suppliers etc. Sotogrande Exclusive also offers a host of property services including property management, property maintenance, inventory, key holding, maid and cleaning service. If it isn’t listed here, you only have to ask Monique. In short, whether you are looking to buy, sell or rent a property, this Sotogrande Real Estate has the expertise and knowledge to make your experience a stress-free and enjoyable one. You can be sure that Monique will be with you every step of the way and assist you until completion and beyond.